A rain which crackle and beatings which lose their appetites in the veils of carillons' resonances, "The Circardian Clock" plunges us into the universe of very electrostatic atmospheres of “Digiseeds”. Chords from a kind of six-strings forged in ice ruminate like our thoughts behind window pane multicolored by the traces of the last rain. These carillons and this ghostly guitar weave a melancholic panorama which will serve as basis to this last compilation of the Ultimae Records label which this time is imagined by the Czech experimental musician, Lubos Cvrk. Or if you prefer, Ambientium. Very ambiospherical and sculptured in the unthinkable psychedelic corridors of ambient music, “Digiseeds” respects in all points this pattern of minimalist and very linear EM which adorns itself of sound elements all very ill-assorted. The album follows this curve of slow crescendo of ambiences and emotions so characteristic of the based Lyon label. Masterised by Vincent Villuis, nothing is left at random and the music is as much intuitive as the imagination of the ears will allow it. Weaved in a long sonic fresco of 66 minutes, the 12 tracks of “Digiseeds” are linked into a long journey of eerie moods and broken rhythms where the sound aestheticism is at reach of ears. "Melting" is the blow of picket in our quest of feelings. An air sculpted on chords of a malefic keyboard is spreading nevertheless a splendid melody which compares with a ballad for those who like the restless nights of Halloween. In spite of this link, too narrow to ignore it, the harmonies which dance here are fragile beneath the claws of the moaner riffs and these jingles of devilish balls which accentuate its rhythmic bed. Certainly there are pulsations. They are delicate and decorate a rhythm of Electronica that Jerome Froese would have been able to write on an evening of pimpernel where he thinks of these glorious years with his father. A very beautiful piece of music my friends! 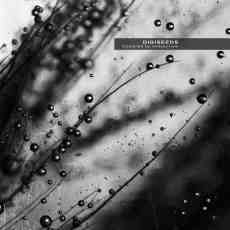 "Outside" dips us back into this kind of Dub Music darkened by a thick cloud of waves and parasitic noises, certain are even rather robotics. One would say a big sonic bear getting out of his hibernation. "Gia" fits perfectly to with what Martin NonStatic has offered us in his Granite. After a bumpy beginning, the structure of rhythm is jumping up more and more before becoming literally lively. The percussions, weakened in an envelope of metallic jingles, are very effective. As well as this strange atmosphere of the caves which decorated the pearls of sounds of Granite. "Human Disease" is a heavy piece of music loaded of metaphysical atmospheres which knocks as a sound air mass overloaded with lead residues. The bass line is hefty. It pounds and hammers like a heart in agony. And this delicate stroboscopic line which goes off the rails in this heavy decoration draws a melodious arabesque which stuffs itself of these abstruse voices which are wandering in this stifling ambiospherical heaviness. "Lucid Dreams" offers a little more convincing structure of rhythm with a meshing of pulsations and percussions with bass tones which pound in a more or less lunar decoration but always very electrostatic. And "Slowly Awake" bickers between the rhythm and the aphasia of the senses with a sound fauna where are crawling crumbled balls, are clinking carillons without lives, are strolling voices without tints and are roaming fragments of melodies mislaid by a not very convincing keyboard. And the whole thing is fading out in a Lazy Afternoon Remix of "The Circardian Clock" which aims to be smoother and which concludes this first chapter of electronic reveries which is “Digiseeds”; another nice intrusion in the universe of Electronica made up by the flavors of psybient so unique to the Lyon based label.